Barbara L. Rodríguez holds a Ph.D. in speech-language pathology from the University of Washington, an M.S. degree in speech-language pathology from the University of New Mexico, and a B.A. in communicative disorders from the University of New Mexico. She began her tenure-track faculty career at UNM in 1999 as an Assistant Professor in the Speech and Hearing Sciences Department. Barbara is a Professor of Speech and Hearing Sciences. Her research and teaching interests are in cultural competence/humility, bilingual language acquisition, and bilingual language assessment. Her recent research has focused on language and literacy developing in bilingual (English/Spanish), cultural and environmental influences on the language development of children from diverse backgrounds, and speech/language assessment and screening of bilingual children. Dr. Rodríguez is the co-Project Director of CLASS for ALL-NM, a collaborative personnel preparation training grant with New Mexico State University, funded by the U.S. Department of Education. This project is designed to train graduate students in bilingual speech-language pathology. Barbara is the recipient of the American Speech-Language and Hearing Association’s (ASHA) Certificate for Special Contributions in Multicultural Affairs, an ASHA Diversity Champion, New Mexico Speech-Language and Hearing Association (NMSHA) Fellow, and NMSHA Honors of the Association. She has held a number of leadership positions on local and national professional boards. 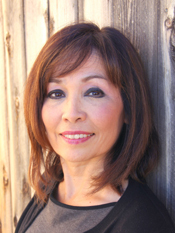 Barbara was raised in Española, New Mexico and enjoys yoga, golf, and hiking. She and her husband, Ray, raised their now-adult daughter (2014 UNM grad) in Albuquerque.